This week the internet has been abuzz with excitement over the first woman to not only complete the qualifying course for American Ninja Warrior but also the first woman to go on and complete the finals course. 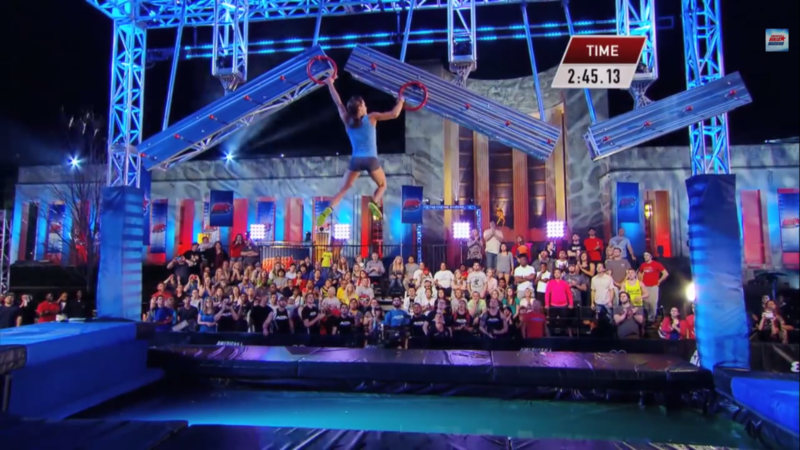 Her name is Kacy Catanzaro and she is an obstacle crushing ninja super star. However, for all of this excitement surrounding this woman’s incredible feat, everyone seems to be glossing over one important fact. Almost every single feat in the course she completed centered around upper body strength. From what I know of ninjas, they don’t just dangle from rooftops all night doing pull-ups, they actually get onto roofs and must have impeccable balance for their stealth operations. A ninja is not all brawn and power, but neither is a ninja all stealth and balance. The most honorable and ninja worthy obstacle course would feature both. If this were the case, the course would not be so strongly skewed towards talents we encourage much more heavily in men, and it would not have taken someone like Kacy so long to come along. It is notable, however, that just in this year alone, two other women have completed the qualifying course.